The New Year is here and we're already into month two. This is going by fast already. One thing I'm happy to report is I'm still doing really well with eating healthy and staying on track to a better lifestyle. It can be really hard at times trying to eat healthy if you're not only prepared, but also when you deprive yourself on things that you once loved. Instead, find substitutions. I've traded in my chocolate bar craving for a piece of dark chocolate. It's definitely not the same, but it does help with my sweet tooth. One thing I've been telling myself is to take it easy. I don't need to loose "X" amount of weight before any specific date. This is a problem I've had in the past. Instead of looking at the scale and being focused on a number, I need to be focused on really changing my eating habits. One of the things I've been doing daily is drinking a green smoothie for breakfast. It's delicious and filling and I get in my daily fruit and greens while drinking it. Over the last couple of weeks I have been using Grace Organic Coconut Water as my liquid base in my green smoothie and I absolutely love it. I was recently sent a box of products from them and it's been a blast cooking with them. 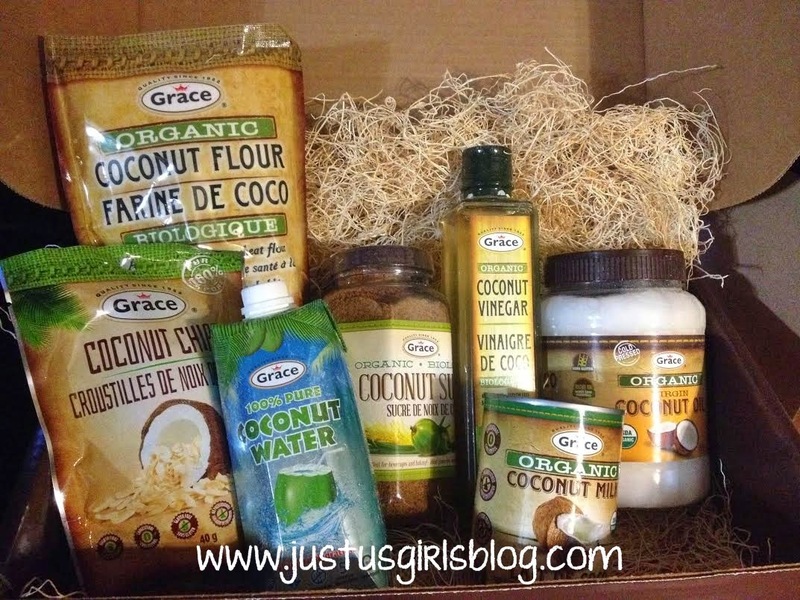 The box of goodies included Organic Virgin Coconut Oil, Organic Coconut Flour, Organic Coconut Milk, Organic Coconut Sugar, All Natural Coconut Chips and Organic Coconut Vinegar. I was really surprised that there were so many coconut based products out there and that there are so many healthy benefits to cooking with coconut products. Coconut has become a natural superfood and nearly one third of the world use coconut at some extent for their food and economy. Coconut oil was endorsed by leading medical and health experts as a food that can help protect us from heart disease. Not only is it good in food, but it also has the ability to fight infections and gives beneficial uses for hair and skin. I've used coconut oil in my hair before and it worked wonders with keeping it soft and moisturized. What I loved about the package that I was sent was that besides the chips, the other coconut products are items that you can cook and bake with, so I did just that. 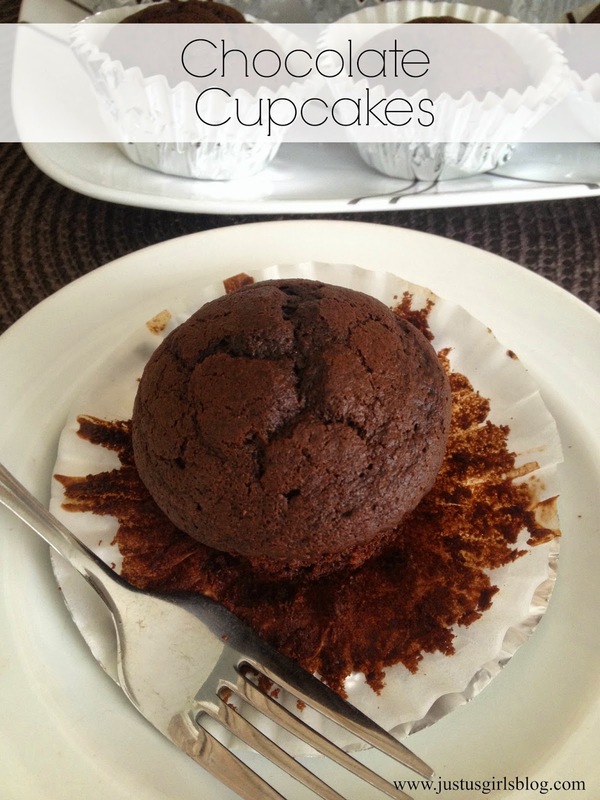 I made chocolate cupcakes by using most of Grace Organic coconut products. Let me just say that the cupcakes came out so soft, moist and best of all they were delicious. My kids ate them up, I've made them a few times now and I can say without a doubt they've become one of my son's all time favorites. 1. Preheated oven to 350 degree. Line two muffin pans with paper liners. 2. In the bowl of your mixer, add the flour, Grace Organic Coconut Flour, Grace Organic Coconut Sugar, cocoa, baking powder, baking soda, and salt. Mix this mixture on low until combined. 3. Combine the buttermilk, Grace Organic Coconut Oil, eggs and vanilla. Add the wet ingredients to the dry ingredients. Pour in the hot coffee, mixing slowly just until combined. For more information about Grace Organic products be sure to head over to www.gracefoods.ca. You can also find them on Facebook, Twitter and Instagram as well. Disclosure: Although compensation was received, all opinions are my own. I received the above mentioned products at no cost for the purpose of sharing this recipe.